Movers are great at getting your supplies and furniture form one location to another. But what do you do with all of the stuff you are not transporting to the next location? You need a team of experts that know what to do with all that extra stuff. Office space in Brooklyn as well as the rest of New York is at premium and extremely valuable so whether you are moving your business to a larger office or closing it down permanently you will need to get your office space cleared out as soon as possible so it can be occupied by another business. In order to accomplish that goal there are two things you need. A good moving company and someone to remove all the debris left behind that you no longer want or need. A good moving company can pack up all of your office equipment and files that you are looking to take with you and deliver them to your new office or storage facility, but what do you do with all the items that you no longer need? Here at Flat Rate Junk Removal we can remove all those items and debris you no longer want or need for you in a quick and easy manner. Once the moving crew has done it job and the moving trucks have left give us a call and we will come in with our 2 man crew and remove the rest of the equipment and debris for you. 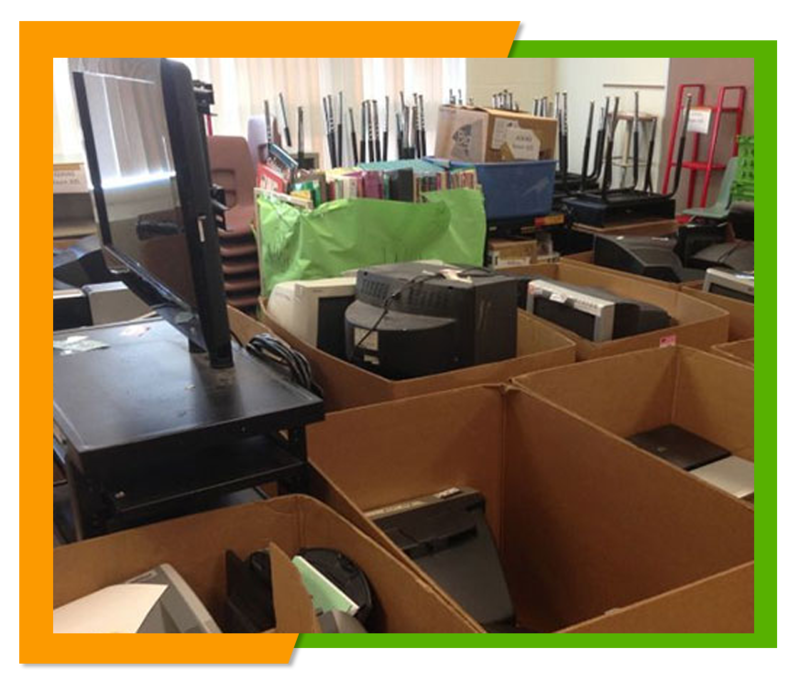 We will come in and remove all of the junk left behind from your office move. 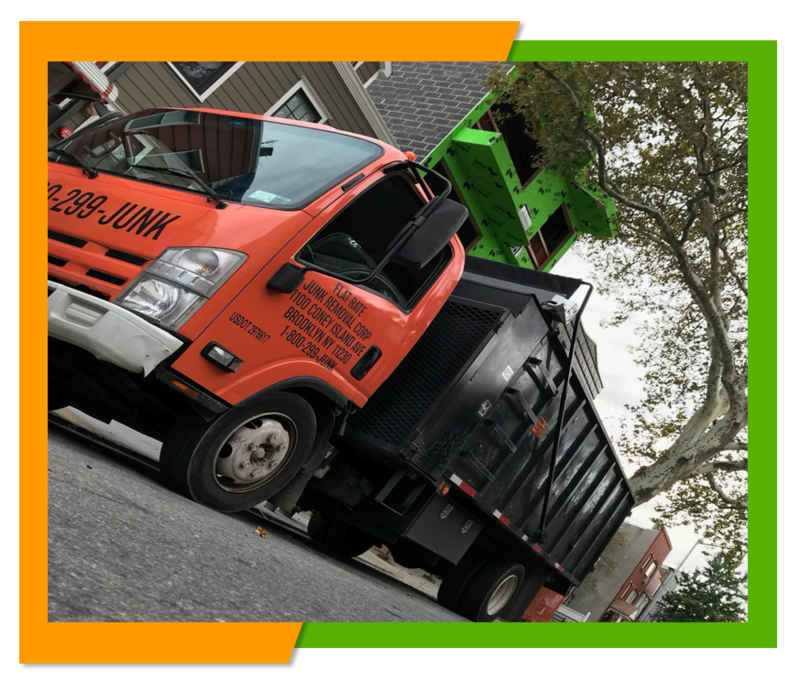 Our 24 cubic foot truck is spacious enough to haul away all of your debris and if not we can make more than one load or use more than one truck. Just let us know what you need to be removed and junked, and we will load it up for you and dispose of it properly. Of course not everything you leave behind when you move your office, is actually junk. And although you no longer need it some items may be useful to others such older desks, computers, printers and file cabinets. Throwing such items out is not good for environment and only fills up those landfills faster. So, we can take those old items and have them recycled for you and then bring you a receipt for those donated items so that you can actually get deduction saving you a bit of money on your move. After we have removed everything from your office we will clean and sweep it for you, so everything will be ready for the next occupants to take possession of the office space, allowing you to get back your deposit after the move. At Flat Rate Junk Removal we try our best to keep our prices reasonable and we make sure that you know all of our charges up front so you won't be surprise by any hidden costs. We offer list of prices right here on our website at www.flatrate-junkremoval.com. Or you can give us a call at 1-800-299-5865 and talk to our representative to get a free estimate or schedule a office clean-out appointment. We are located in Brooklyn, but serve most of the NYC city as well.